Where does Art fit in in a Science Festival? 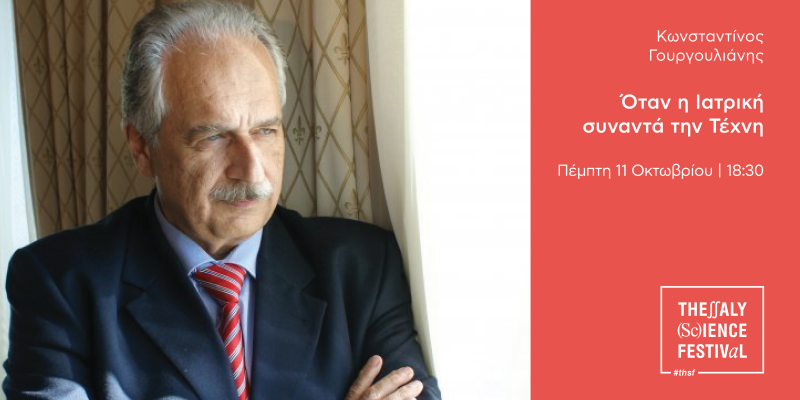 In the opening event of the first Thessaly Science Festival, on Thursday, October 11th, at 18.30, Dr. Konstantinos Gourgoulianis, Professor of Pulmonology at the Faculty of Medicine of the University of Thessaly will invite us to think outside the box, and contemplate the timeless relationship of Art with the science of Medicine. How does Medicine meet, inspire, or complement Art? Dr. Gourgoulianis, Director of the Pulmonology Clinic and a former Dean of the University of Thessaly, has had a long and illustrious research career in the field of pulmonology with over 400 publications in international journals. The study of epidemics in Greece, pathophysiology of long diseases and sleep breathing disorders are some of his fields of scientific inquiry- however he has a particular interest in the history of Medicine and the social impact of tuberculosis. And what is Art, if not a living footprint of history? Infectious diseases induced terror for centuries. The impact of these diseases on art and literature is inseparably linked with each era’s current scientific knowledge about their causes or the discoveries of appropriate treatments. Tuberculosis is an infectious diease that was a “marker” of poverty and was organically connected with immigration and population movements. The disease has left its mark on songs, literary works and culture in Greece and all over the world for over three centuries, and the conditions that favour its transmission are still present in Greece today. What are the fascinating marks tuberculosis and the efforts to fight it have left on art? Come to find out and celebrate the opening of the first Thessaly Science Festival with us!